Washington D.C.: Consuming at least three servings of low fat or skimmed milk, yogurt or cottage cheese daily have 34 percent greater risk of developing Parkinson’s disease, warns a study. Parkinson’s disease is a disorder of the central nervous system that affects movement, often including tremors. The study also found that drinking more than one serving of low-fat dairy products per day is associated with a greater risk of developing Parkinson’s disease compared to drinking less than one serving per week. Katherine C. Hughes from the Harvard T.H. Chan School of Public Health in Boston said that this study is the largest analysis of dairy and Parkinson’s to date. Hughes added that the results provide evidence of a modest increased risk of Parkinson’s with greater consumption of low-fat dairy products. Such dairy products, which are widely consumed, could potentially be a modifiable risk factor for the disease. The team analysed 80,736 women and 48,610 men for approximately 25 years. They examined what kinds of dairy each person consumed, including milk, cream, cheese, yogurt, ice cream, butter, margarine and sherbet. They then looked at whether full-fat dairy, as whole milk, was associated with a risk of Parkinson’s disease; there was no association. The participants completed health questionnaires in every two years and diet questionnaires in every four years. 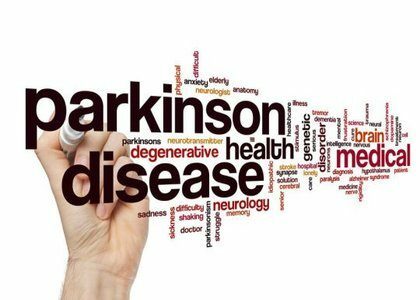 The results indicated that during this time, 1,036 people developed Parkinson’s. The researchers also found that when looking specifically at skim and low-fat milk consumption, there was a 39 percent greater chance of developing Parkinson’s for people who consumed more than one serving per day compared to those who consumed less than one serving per week. “Frequently consuming low-fat dairy products was associated with a modest increased risk of Parkinson’s disease,” Hughes stated. The study is published in the online journal of Neurology®.